The paper reports in detail about the results of a literature research regarding this topic and gives an overview on currently existent or nonexistent intercultural aspects and trainings in nursing education and care in Poland, Slovenia and Czech Republic. cultural competence, communication and behavior, their self-assessment on cultural competence and of course their educational needs in this area of care. So far the results clearly show that there is a need for multicultural training courses for ICU nurses. According to the analysis of the nurses’ responses and their descriptions of difficult situations, in a next step the project group is preparing a syllabus and curriculum for a respective E-learning course. When working in intensive care, it does not take long to realise that intensive care nursing is not just about operating technology and managing medical treatments. Nor is it solely about providing physical and psychological support for the critically ill patient. Intensive and critical care nursing is also caring for, and caring about, families1. It is important to remember that in skillfully managing such situations, involving family members in bedside care can positively impact on patient outcome2. We wish to draw attention to placing families at the centre of care and to recognise the importance of supporting family members through a forthcoming special issue. We therefore invite papers for that focus on family-centred care in all critical care settings, including adult ICU, Paediatric Intensive Care and Neonatal Intensive Care. We welcome research studies, reviews, practice development projects, case studies, or commentaries, from clinicians and researchers in the field of all critical and intensive care settings*. 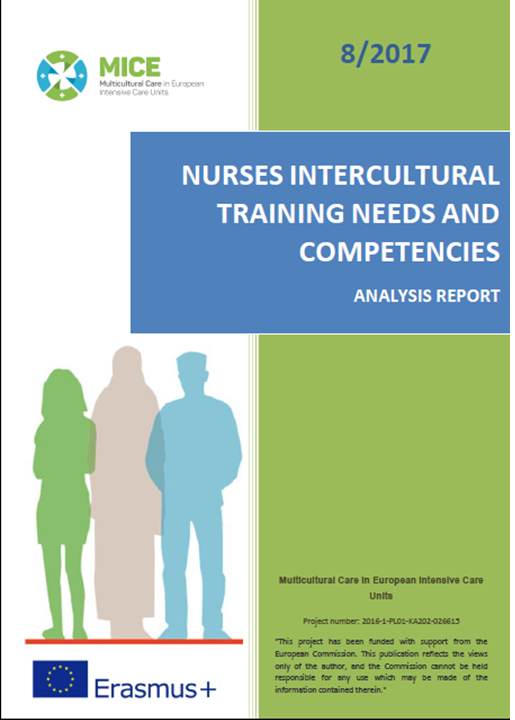 The results of the Questionnaire on critical care nurses’ intercultural training needs and competencies are now analysed and a report will be available soon on www.mice-icu.eu. Almost 600 intensive care nurses, mostly from Poland, the Czech Republic and Slovenia but also from many other countries have participated. Many thanks to all of you for your valuable input in this project! So far the results clearly show that there is a need for multicultural training courses for ICU nurses. According to analysis of nurses’ response in the study and their description of difficult situation when caring of patient from different culture on IC ward the project group is now working on a syllabus and curriculum for a respective E-learning course. We will keep you informed. An academic from the University of Plymouth has been invited to develop research in China’s largest children’s hospital – making him the first nurse to be appointed through a Chinese Government programme. 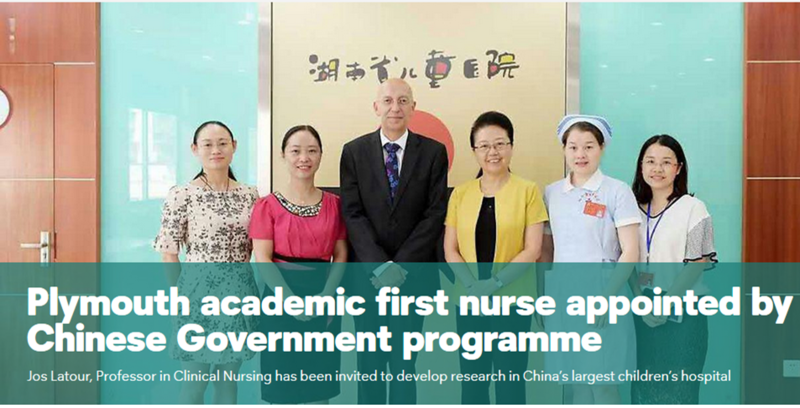 Jos Latour, Professor in Clinical Nursing, was appointed as an advisor to Hunan Children’s Hospital in China this year thanks to the country’s the 100 Talent Programme, which enables companies to recruit external experts to boost output. With 1,800 beds, the hospital is one of the largest children’s hospitals in the world, and Professor Latour will visit China for six weeks a year, working a further six weeks remotely, to establish a nursing research team, apply for research funding and develop major scientific research orientation. Currently heading up the University’s Clinical School at Derriford Hospital in Plymouth and Musgrove Park Hospital in Taunton, Professor Latour is delighted to be first nurse to be taken on through the initiative. The European Commicssion has released the new One Health Action Plan on antimicrobal resistance.